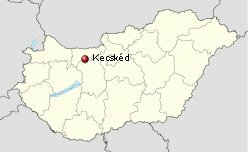 Kecskéd is a village of 1,990 inhabitants in north-western Hungary, in the Northern Transdanubian region in Komárom-Esztergom county. The village is located in the Általér valley between the Gerecse and Vértes Mountains, 65 km (40 mi) from the capital, 15 minutes from the M1 (E60, E75) freeway. This place is easy to reach on road or on railway equally. Neighboring settlements are: Oroszlány 5 km (3mi), Környe 4 km (2.5 mi), Tatabánya – capital of the county Komárom-Esztergom 11 km (7 mi), Tata 17 km (10.5 mi). Archaeological findings prove that humans have been living here since the Stone Age. Somewhere here stood the Quirinium’s fortress from the Roman Empire. There were found many stones and columns among the coins, what you can see in the courtyard of the Környe rectory. The Historians don’t know, how this settlement got its name, because this location was notable from its sheep-farming (Kecskéd means your goat). There are some theories that this name was created from the Csetkét word. Csetkét (Csetkéd) was settled by the Csát family, the place was the property of the Vérteskeresztúr monastery. In 1326 the Csák family gave the property to King Robert Karl as a gift. In 1379 King Sigmund possessed the territory. The area was known as the village of the royal shepherds. In the 16th century the Ottomans destroyed the area and it was uninhabited for 200 years. In 1693 the Esterházy family got possession of Kecskéd. In 1735 count Joseph Esterházy populated the area with Roman Catholic German settlers from Württemberg. The new village was making good progress. In 1750 Kecskéd had its own school. The St. Anne Roman Catholic church was built in 1764 according to the plans by Jakab Fellner The period recordings speak about the village’s thousands and thousands outstanding fruit-trees and its famous sheep-farming. In the XIX. Century the population was over 680. The village had two mills, several lakes; biggest was the St. Paul Lake. 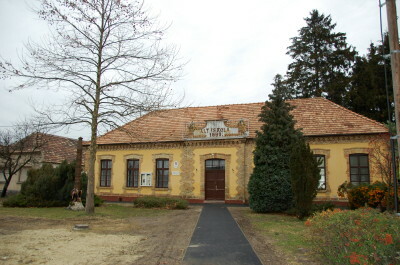 In 1896 was founded the kindergarten and from 1890 the school had two teachers, the teaching was bilingual: Hungarian and German just like today. 32 people died in World War I. For their memory was built a monument in 1929. The battles of World War II. ended in the village on March 18. 1945. 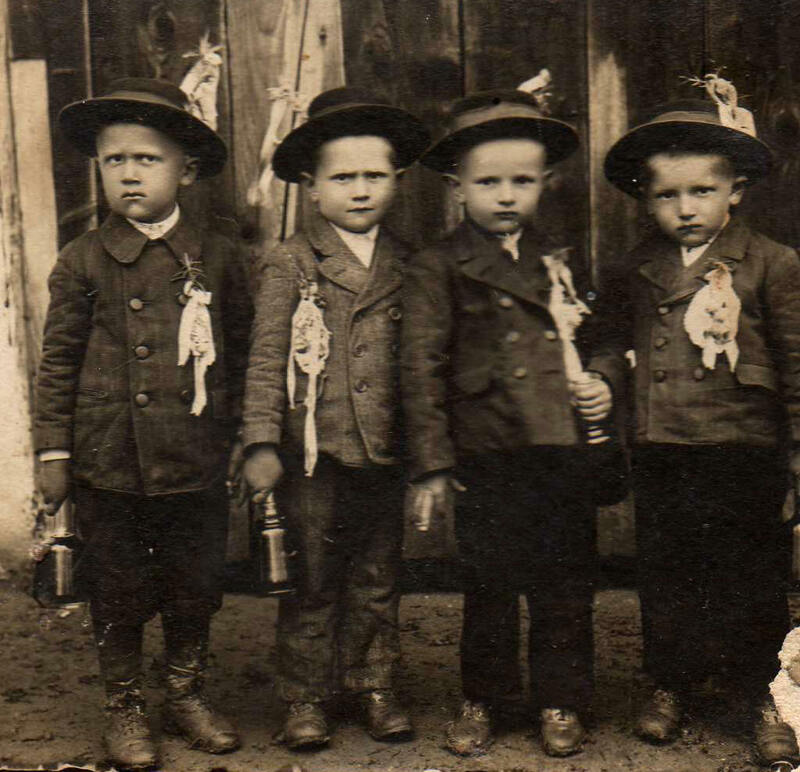 After the war the Hungarian Government didn’t support the Ethnic Traditions. In 1947 202 people were deported from Kecskéd to Germany and Hungarians were settled to their homes from Czechoslovakia. 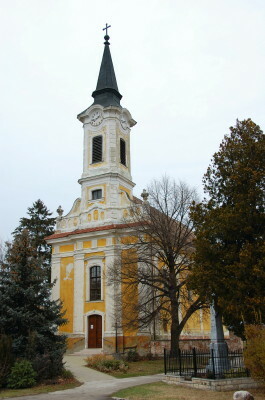 The St. Anne Roman Catholic church was built in 1764 according to the plans by Jakab Fellner The church is located on the main street, has one tower, the sacristy is on its left side. 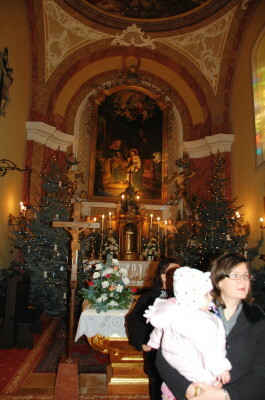 The church was built in baroque style, the walls and motifs are yellow and white. The tower is 43 meter (141 feet) high, has 3 bells in it. The bell was manufactured by Frigyes Seltenhofer in Sopron, in 1922. 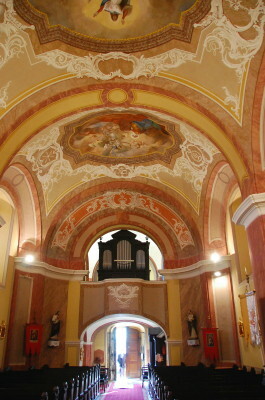 Thanks to a Canadian businessman’s donations the interior of the church was beautifully renovated in 2008. The pulpit was maid from oak, the altar from marble. In this church there are two relic holders from the Majk Camaldoli Monastery. Next to the church is the building of the Kindergarten and the “old school“, what was built in 1890. Across the street is the Community Centre, what is the centre of the non-governmental associations. Next to the Community Centre we find the modern doctor’s office. The village has a dental office as well. Not far from here is the Elementary school with gym, computer room and language lab. Next to the school is the Ethnic Museum of Ethnography. 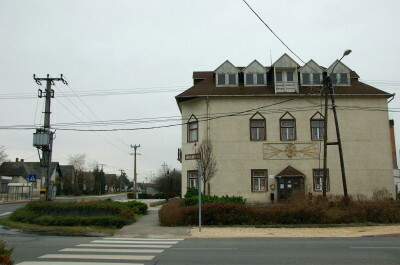 The furnishings of the exhibition were collected in Kecskéd. The Old-lake is the perfect place for fishing and boating. If you like flying, you have to visit this place. 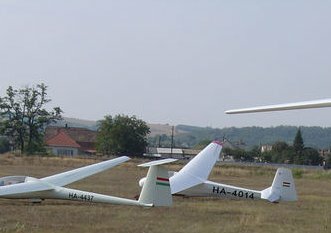 Kecskéd has an airport, what is right for gliders. A large number of non-governmental organizations and associations work in the village with the aim of developing the village, preserving traditions and organizing programs. O wing to their and the locals' work the St. Mary chapel and its surroundings, the Old-lake of Kecskéd and its surroundings and the monument of World War I have been renewed. Its folk dance group and ethnic choir are nationally famous. The choir and the dance group work in different age-gr oups. 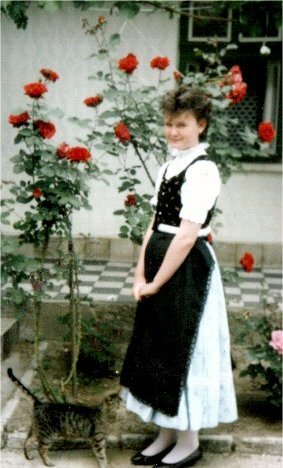 The traditional woman dress consisting of more color and material, which are: two or three waist slips, a skirt, a blouse, an apron, and a bodice. The married women wore black aprons, the girls white. 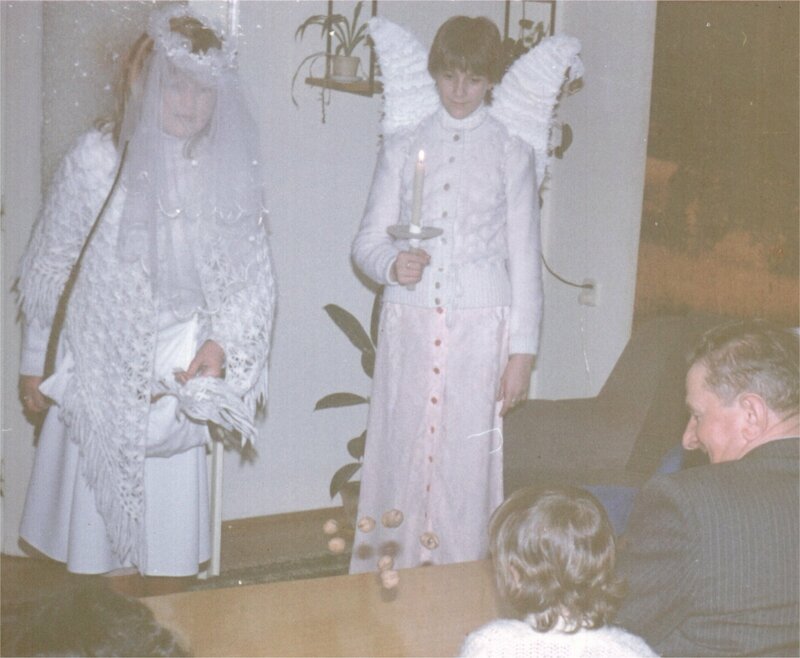 The married women wore the “Schopf”, what is a white, starched kerchief. The girls braided their hairs. The traditional man dress is consisting of boots, pants, shirt, vest, suit, and a hat. They fastened rosemary with white ribbon to the hat. 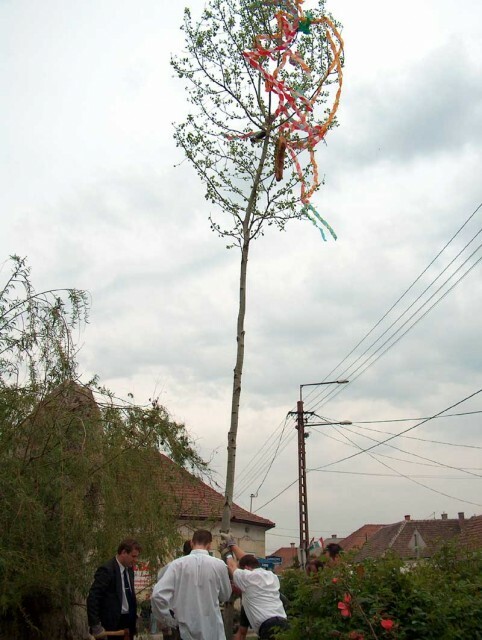 The maypole is a tall wooden pole (traditionally of maple) erected to celebrate May Day. The previous night of May Day (May 1st) the guys go to the forest to cut down a maple-tree. They decorate the pole with brightly colored ribbon or paper streamers, and with a bottle of wine. After midnight they carry the pole to the village and place it in the desired area (front of the marriageable girls houses) Early morning on May 1st the mayor and his wife go around the village on an equipage with a band. After that they place the May-pole front of the Community Center and the dance group dances around the pole. On Martin’s day the kindergarteners make paper lanterns with the help of their teachers. At nightfall the group goes from the sport field to the church, where they are telling stories, poems, and they are singing songs about Saint Martin’s life, meaning: what I have, I share with others. In the spirit of this thought those present receive a half piece of cake. As known Saint Martin was a soldier. He was at the gates of the city of Amiens with his soldiers when he met a scantily dressed beggar. He impulsively cut his own military cloak in half and shared it with the beggar. That night he dreamed of Jesus wearing the half-cloak Martin had given away. He heard Jesus say to the angels: "Here is Martin, the Roman soldier who is not baptized; he has clad me." The largest Christmas-tradition in Hungary is the "Bethlehem play”, or "Betlehemezés". On Christmas Eve the kids from 7. grade perform a short play about the child Jesus with songs and poems in costumes. The kids go house-to-house with a model of the holy family. At midnight they go to the church, where they are telling the story of Jesus birth. Not far from Kecskéd is my favorite hiking place, Majk. Immersed in a forest on a rise above a little lake, it forms a strange, perfectly rectangular enclave, whose smooth white walls enclose an eclectic mix of history and legend. Established in the 1730s by count Joseph Esterházy, it comprised a grandiose church, a baroque cloister and library and 17 individual walled cottages where Camaldoli hermits in beards and long white robes spe nt their days in fasting, silence and prayer. Various noble families helped finance their construction, and in tribute the outer wall of each cottage bears the bas relief of a coat of arms. Each peak-roofed unit had living quarters and its own private chapel, and each was set in a walled garden. The grand baroque church that once stood at the heart of Majk's compound was torn down after the monastery was closed. All that remains is the tower, whose belfry affords a panoramic view of the monastery and its surroundings. Majk was the only Camaldoli monastery in Hungary, but it functioned for less than half a century. In 1781, the Hapsburg emperor Joseph II closed it as part of ecclesiastical reforms that saw the suppression of hundreds of religious houses. The complex became an Esterhazy residence and eventually was nationalized by the Communist government in the 1950s, today a museum. 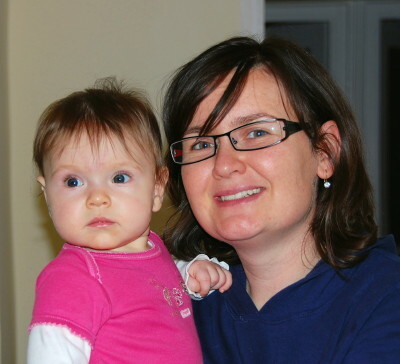 The famous writer Peter Esterhazy is a descendent of this family. His grandmother Margit Esterhazy (born Karolyi) lived at a former Camaldoli monastery built on Esterhazy lands at Majk. In his autobiographical novel "Celestial Harmonies," Peter Esterhazy described how, as a boy, he used to play at being a member of the Camaldoli monastic order.